Do what you love. Let the creative juices flow. All while livin’ la vida local in Madrid, Spain. Sound too good to be true? Here’s your chance. ROOSTERGNN is accepting applications for its Artist Residency program in Madrid, Spain for 2018 and 2019. Open to writers, journalists, bloggers, photographers, filmmakers, videographers, digital artists, graphic designers, social media artists, creative programmers, coders, entrepreneurs and innovators. Don’t miss out! It is no wonder that Madrid is breaking tourist records year after year. The most visited city in Spain, Madrid received more than 8.8 million tourists in 2015. The city’s rich culture, including its Golden Art Triangle, -framed by the Prado Museum, the Thyssen Museum, the Reina Sofia Museum and now the Caixa Forum,- is famous worldwide. Alternative galleries showcasing international independent artists are popping up all over the city as well. From Malasaña to the Barrio de las Letras, Madrid’s diverse neighborhoods are steeped in history, ideal for reflective strolls, both day and night. 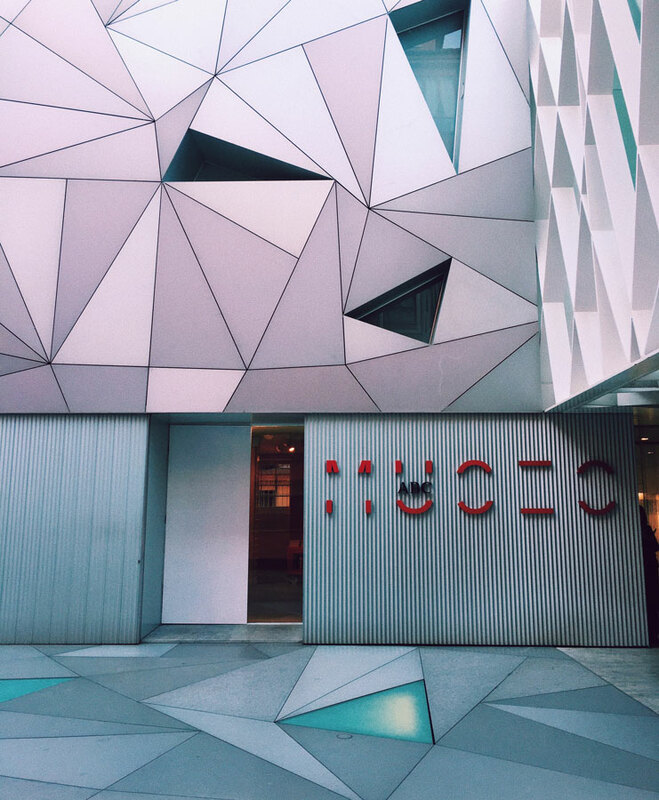 In recent years, Madrid has moreover become named “capital of fashion” (“capital de la moda“), perfect for those interested in investigating clothes as a socio-cultural reflector that transcends class and provenance. So, too, is the city home of the Spanish language, and one can retrace the footsteps of numerous legendary writers, from the Quijote to Hemingway, in and around Madrid. The city’s proximity to other Spanish towns and cities make for active adventures, be it a day-trip to Toledo or a weekend getaway to Barcelona. On a weekend in Madrid, on the other hand, you can enjoy the Retiro Park or even a typical Real Madrid soccer match – and let’s not forget the delicious food and tapas. There’s something in Madrid for all tastes! Photographers. Photographers can be of all different disciplines, from artistic photography to street photography to photojournalism. Proposals can be based around a specific theme, e.g. 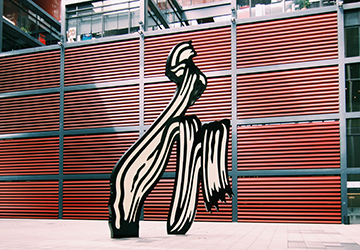 a series photographing street art in Madrid. Selected works may be published on RGNN.org. 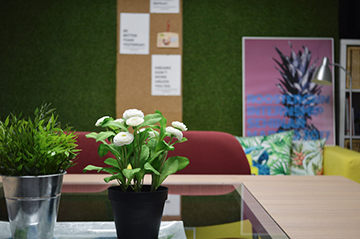 Photographers can take advantage of the RGNN photo and video studio to shoot work as well. Please note that photographers should provide their own photography (camera, tripod, etc.) and editing equipment. You focus on your art. We take care of the rest. Accommodations in central Madrid, Spain. Central accommodations in the city of Madrid. The accommodation can be in single rooms (1 person) or double rooms (2 people). The accommodations will be assigned by ROOSTERGNN according to availability of the different Artist Residency locations in the selected city. Optional: Portable wi-fi router with internet connection. 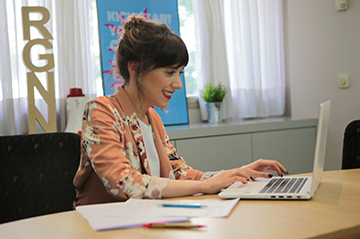 Residents will have access to a shared “Brainstorming Room” with work tables and wifi internet connection to work on their creative projects. The Brainstorming Room will be open from Monday through Friday. Exact opening hours subject to the Residency opening hours.Note. All Residents should bring their own laptops to work on their projects. Residents will have access to a Conference Room to conduct meetings and conferences. Access to the Conference Room will be based on availability (there will be a sign-up sheet to fill out). RGNN Photo and Video Studio. 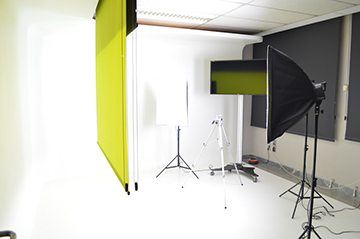 Residents will have access to the RGNN Photo and Video Studio, a professional photo and video studio complete with white infinity backgrounds, green backgrounds and black backgrounds as well as professional lighting and a clothing rack. Residents can use the studio to shoot and photograph for their creative projects. Access to the Studio will be based on availability (there will be a sign-up sheet to fill out). Applications are open for 2019 for 10-night periods. October 11, 2019, to October 21, 2019. October 21, 2019, to November 1, 2019. November 1, 2019, to November 11, 2019. November 11, 2019, to November 21, 2019. November 21, 2019, to December 1, 2019. December 1, 2019, to December 11, 2019. December 11, 2019, to December 21, 2019. December 21, 2019, to December 31, 2019. Limited spots available. Applications are rolling, once spots fill up, applications will be closed. To simplify application and enrollment processes, all Residency fee packages are already being subsidized by RGNN.org. Additional scholarships for the Madrid Artist Residency in 2019 are currently not available.